Glass Lined Bolted Tanks: I Can See Clearly Now… - Superior Tank Co., Inc. In comparison, factory powder coated bolted steel tanks manufactured by Superior Tank have been laboratory tested to be considerably more durable. The powder coating is flexible enough to endure normal impact without cracking. If the impact is severe enough and the coating is compromised, our propriety SiZr seal will prevent the spread of corrosion and coating undercutting. Repairs to damaged powder coating are very simple and can be performed in the field with outstanding results. A second consideration with glass lined bolted steel tanks is the use of mastic in place of proper gaskets. The mastic has several drawbacks such as it can dry out before the steel staves can be fastened together, leading to cracks and improper adhesion. To attempt to prevent the mastic from drying out, the panels can be installed and tightened one at a time, but this results in uneven tightening of bolts. Also, manufacturers of glass lined bolted steel tanks will recommend the mastic be scraped out and replaced on a regular basis. A final concern when utilizing mastic is it’s incompatibility with crude oil or other hydrocarbons. All Superior Tank bolted steel tanks are manufactured with pre-punched synthetic rubber gaskets. Our heavy duty gaskets allow entire sections of our tanks to be installed and tightened evenly all at once, producing a uniform and issue free assembly. In addition, our tank gaskets remain pliable and in firm contact with the steel surface therefore preventing leaks. 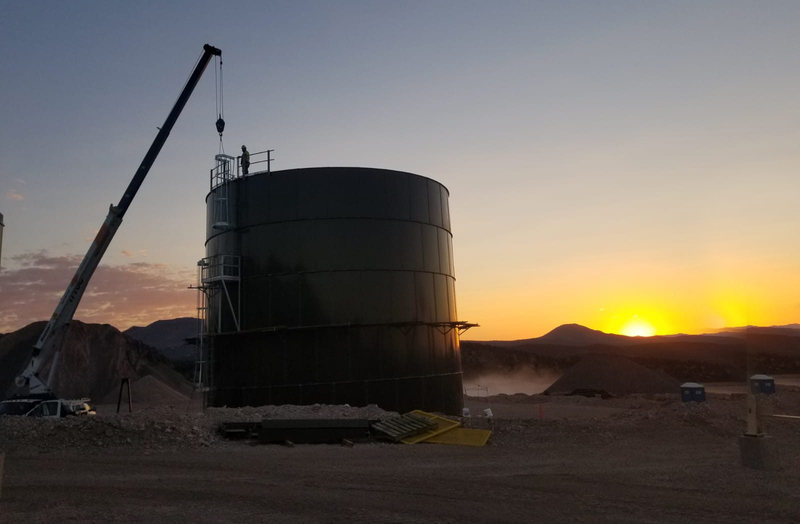 For storage of different liquids, Superior Tank utilizes several types of heavy duty gasket materials such as Buna-N for crude oil and hydrocarbons and EPDM for potable and wastewater. When all of the facts on glass lined tanks are accounted for, the truth is clear; factory powder coating provides equal or superior results for less money. Fill out the form below for more details!